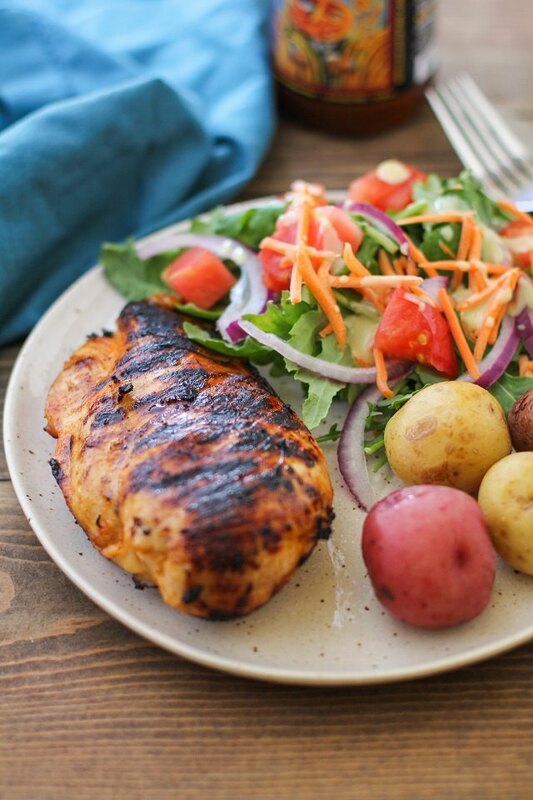 Grilled chicken breasts are an easy go-to for any weeknight meal, or for entertaining guests at a barbecue. While grilling chicken is very simple, it is also easy to over-cook them, and/or to end up with meat that's lacking in flavor. These simple tips and tricks are helpful in achieving a tender, juicy result each and every time you fire up the grill. Whipping up a homemade marinade using ingredients you have in the pantry is easy! 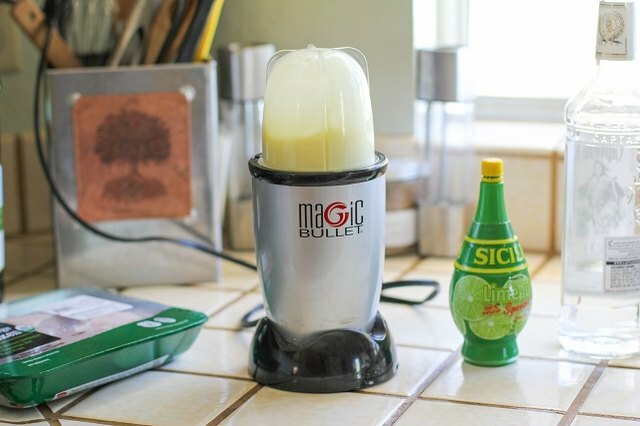 Simply add the ingredients for the marinade to a blender and blend until smooth. For every 1 pound of boneless skinless chicken, you will need about 1/2 cup of marinade. 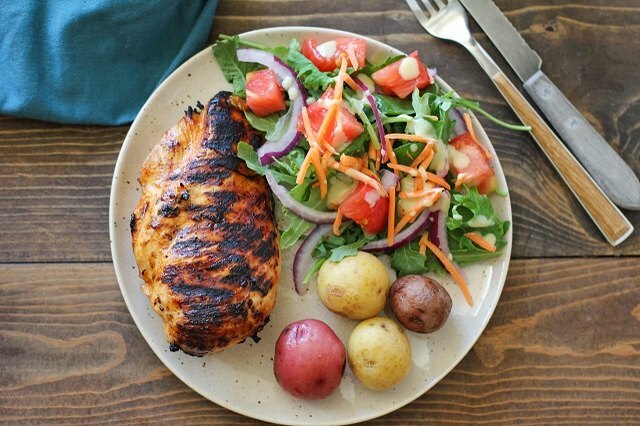 You may also use a dry rub in order to flavor your grilled chicken breasts. For every 1 pound of boneless skinless chicken breasts, you will need about 2 to 3 tablespoons of dry rub. Scroll to the end of this article for marinade and dry rub flavor ideas. For an easy brine, dissolve 1/4 of sea salt in 4 cups of water. Brine the chicken for 45 minutes per pound. For the most flavorful and tender result, marinate the chicken for at least 1 hour prior to cooking, but preferably overnight (up to 12 hours). 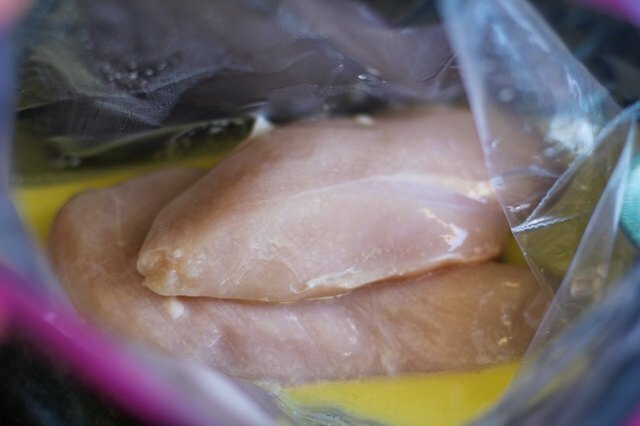 Place the chicken in a sealable bag or container and pour in the marinade. Seal and refrigerate. If using a dry rub, drizzle olive oil over the chicken breasts and make sure all of the flesh is well-coated. Sprinkle on the dry rub and gently rub the seasoning into the meat. Place the seasoned chicken in a sealable bag or container and refrigerate for 1 hour. 15 minutes prior to grilling, remove the chicken from the refrigerator and allow it to come to room temperature. This will ensure the chicken cooks evenly on the grill. 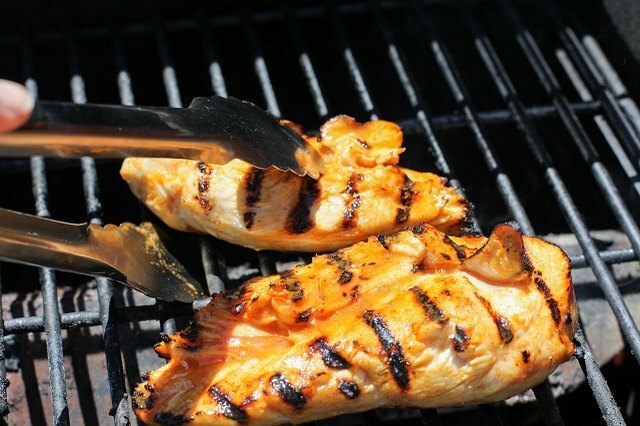 When you're ready to grill the chicken breasts, brush the grate with a wire brush in order to remove any leftover food particles from your last barbecue. Brush or spray the grill with cooking oil in order to ensure the meat doesn't stick to the grill. Preheat your grill to a medium-high setting (about 350 to 400 degrees F), keeping the grill covered. If using a charcoal grill, ignite the briquettes in a metal coal chimney and allow them to heat until the coals begin turning white. Arrange the coals in a pile over the floor of the grill and replace the grate. Cover the grill and allow the grate to heat up. If grilling over direct heat, place the chicken breasts on the grate directly over the hottest part of coals or over the burner and cover. Cook for 3 to 4 minutes per side, until grill marks appear. Continue cooking and flipping until most of the flesh is golden brown, and chicken is cooked through. To test for doneness, remove the chicken from the grill using tongs and insert a meat thermometer into the thickest part of the breast. Wait until the needle or numbers stop moving in order to get an accurate reading. The chicken is fully cooked once it reaches an internal temperature of 165 degrees F.
If you don't have a meat thermometer, place the chicken on a cutting board and cut all the way through. If there is no pink, the chicken is cooked through. If there is a flare up at any time during the grilling process, simply remove the breasts from the direct heat using tongs and place on a cooler part of the grill until the fire flare up dies down. If using barbecue sauce (try this homemade recipe! ), brush the sauce on the chicken during the last part of the cooking process. Since barbecue sauce contains sugar, it will burn quicker than the meat can cook, so be sure to brush it on just a few minutes before the chicken has finished grilling. 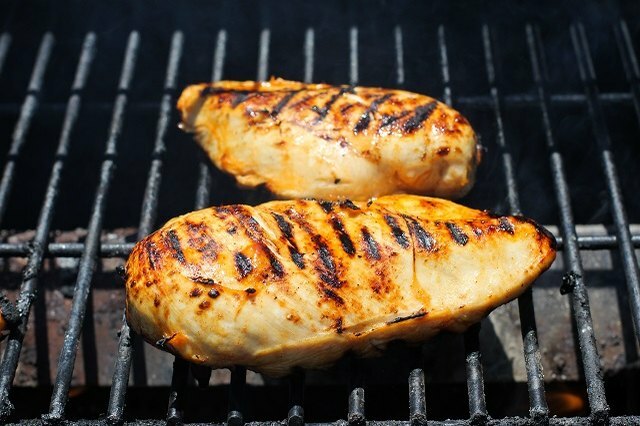 If grilling over indirect heat, place chicken breasts off to the side or over the cooler parts of the grill. Allow the chicken to slowly cook, flipping occasionally, until the breasts are golden brown, firm yet springy, and have reached an internal temperature of 165 degrees F.
Place the grilled chicken on a plate or cutting board and allow it to sit for 10 minutes. This allows the juices to distribute throughout the meat, yielding optimal tenderness. You can also cover the meat in foil if you have other items to grill or prepare before serving the chicken. Be sure the chicken is at least 140 degrees F at the time it is being served. Serve the grilled chicken alongside your favorite side dishes. You can serve the breasts whole or chop them into large hunks and arranging them on your guests plates. For an easy marinade, combine equal parts olive oil with vinegar, orange/lemon juice, soy sauce, white wine, or any combination thereof. Other great additions are minced garlic, fresh grated ginger, onion, and 2 to 4 teaspoons of your favorite dried herbs, spices, or seasonings, and sea salt. Try soy, ginger, garlic, and oil, or tequila, lime juice, garlic, and paprika for some delicious flavor combinations. If using a store-bought dry rub, look on the ingredients list to see what the rub includes. If it's salt-free, be sure to add some sea salt, as salt is a natural meat tenderizer. Use herbs and spices such as dried basil, rosemary, oregano, Italian Seasoning, Herbs de Provence, ground cumin, coriander, sage, paprika, onion powder, garlic powder, chili powder, ground ginger, and curry powder. A great combination for a homemade dry rub is ground cumin, paprika, onion powder, garlic powder, and chili powder. When using a dry rub, always drizzle the chicken with a small amount of olive oil in order to maximize the flavor.